Since 2003, a committed band of	more than 75 volunteers has been working really hard to make the Remutaka Forest Park a safe place to release North Island Brown kiwi - and then to protect their offspring as the population grows. 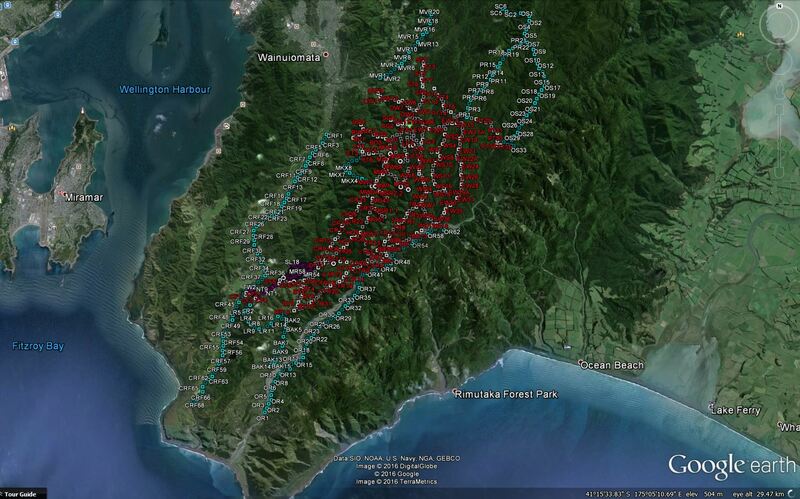 To achieve this, we have been trapping stoats around a large area of forest between the East Whakanui Track and the Catchpool Valley. Currently we have well over 1000 trap stations operational and plan to expand the network considerably. By subscribing you will also receive a certificate showing the trap station and its location. We will keep you informed of the kill rate and update you on our new residents. The sponsorship fee is NZ$30 per year, per trap. Please make cheques payable to "The Rimutaka Forest Park Charitable Trust". Alternatively, you can also pay by Direct Deposit (EFT) via Internet Banking to our BNZ Bank account #: 020544 0002549 00. 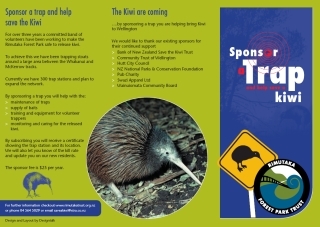 ….by sponsoring a trap you are helping bring Kiwi back to the Greater Wellington region. And many other individuals and family groups!